“Blend in, but stand out” – that is my motto when it comes to blogging for my website. As a new blogger, blogging can get overwhelming. The struggle begins once you start getting serious about it! 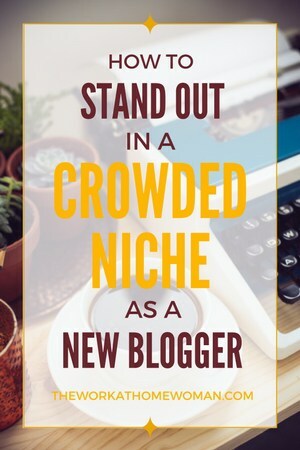 One of the biggest setbacks for bloggers is standing out in a crowded niche. You might be interested in food, beauty, or photography blogging, yet there are already thousands of other bloggers and business owners in this niche who are doing the same thing that you wanted to do in the first place. So how can you be different from the others? I am going to equip you with some actionable tips and give you advice on different ways you can stand out in a crowded niche as a newbie. First impression is the best impression is a popular saying, and it holds true for your website as well. When someone visits your site and sees that it is well branded, the colors are complimenting each other, and there is a particular tone and feel to the website, they will automatically perceive that you are an expert in your niche and you know your game. This way half the job is done, and your potential audience can see that you are serious about your business! Having a well-designed website will make your new audience stick around and explore your blog. A well-crafted website and brand will build trust with your audience, give you recognition, get you more sales, and set a level of expectation with your audience. I cannot stress this enough. As a designer myself, I know that this will make a massive difference in your business. I have had clients whose businesses experience a night-and-day turnaround in traffic and money as a result of a re-design. Posting very rarely is a turn off when it comes to publishing blogs on your website. You need to be consistent in your blogging schedule. Did you know 70 percent of marketers lack a consistent or integrated content strategy? Since most bloggers are not really consistent, you can set yourself apart easily by just being consistent. Try to talk to the influencers in your niche, get to know them, see how they have been doing things for their blog and social media and what strategies they are using. They have been where you are and have done what you are doing right now! Before you reach out, you need to have a professional website (they should know that you are serious about growing your blog) and have a strategy for approaching them. When I started my blog and wanted people to take me seriously, I made my own strategy in reaching out to the influencers in my niche. First, I would subscribe to their newsletter, retweet their tweets, comment on their blog posts. They need to know that you are their new follower and you love their stuff. Then I would reply to their newsletters and ask them questions and then eventually if everything works out, I would ask for an opportunity to guest post on their website or have coffee with me over Skype. I learned this the hard way. I wish someone told me to build my email list right from day one. Once you start receiving emails, send out newsletters with tips and actionable advice to your subscribers. This way you are establishing yourself as a thought leader and telling your close knit group of peeps (your subscribers) that you know what you are talking about. Have a CTA after every blog and social media post. Always have a call to action (CTA) at the end of your blog and social media posts. You need to direct people to where you want them to go. If you are a service-based business, lead them to your service page or a freebie page to collect their email address. If you are a product-based business, send them to your products and ask them to check them out. I use Facebook and Twitter to network with similarly-minded people like me. You will find me in Facebook groups and Twitter chats, and this has led to some amazing friendships and relationships. My advice is: Don’t think of networking as finding more clients, just be yourself and make friends and this will eventually lead up to them referring you to their friends or they themselves becoming a customer. Guest post as much as possible. This is an amazing way to get yourself out in front of other people’s audience. It establishes you as an expert in your field and gives you an edge over other new bloggers in your niche. 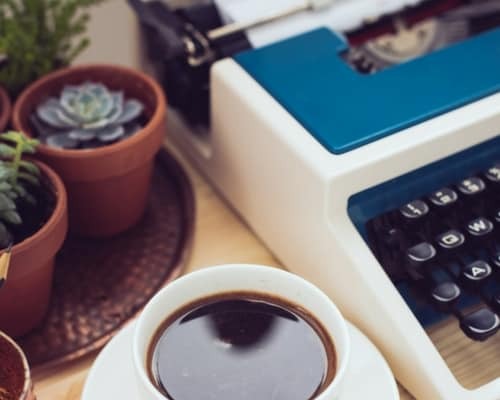 Just don’t guest post for every blog you come across, look for blogs that have a similar audience as the one you are targeting and would benefit from your content. If you are a food blogger, you do not want to guest post on a tech blog and vice versa. Have a plan of action in place to look for opportunities to guest post. Tell me as a newbie, how did you stand out in your niche? Share with other new bloggers in the comments section below, and we all will learn and benefit from it. If you haven't started a blog yet, here are two blog posts you'll want to check out! Arpi is an award-winning graphic + website designer and business blogging strategist. Her passion lies in helping new business owners with meaningful branding and effective website design that engages their audience, sets their brand apart and ultimately lands them more business. In this process, she equips her clients with the best business strategies out there which includes, social media marketing and content marketing. She has been doing branding and website designing since 2010. Her simple mission for her business is to produce the highest quality work for every client, on every project. When she’s not busy designing, you can find her on JustArpi.com inspiring her readers to turn their passions into a business they love and build strong, successful brands online.